bartlett mitchell recently hosted a roundtable discussion with a panel of experts from the food and facilities management industry. The roundtable was held at Trinity in Clapham, the recently Michelin-starred restaurant owned by Adam Byatt. Byatt is chef consultant at bartlett mitchell. 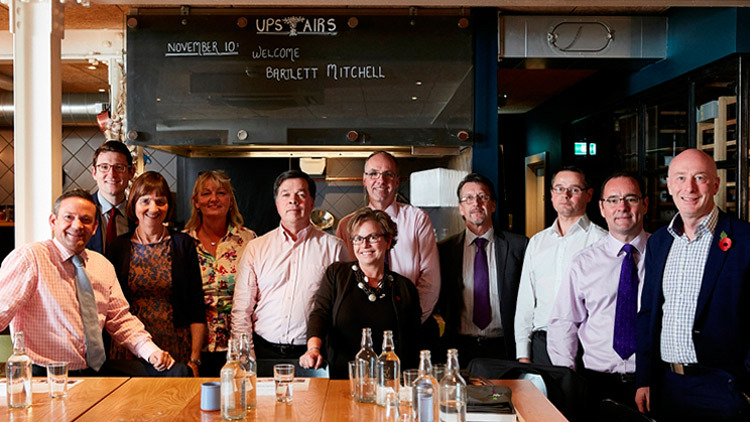 The roundtable aimed to identify key issues facing catering and FM businesses over the coming year. The experts concluded that catering is emotive and needs to be ring-fenced from other FM services. The panel, which included high-profile consultants operating in the workplace, healthcare, education, and leisure sectors, also concluded that catering plays a huge role in influencing productivity and should be an integral part of any company’s wellbeing strategy. The panel also discussed how catering can support recruitment and retention, enhance brand value and facilitate better collaboration in the workplace. People are far more educated about food these days which can make it a very emotive issue. They understand how dishes are made, what produce is used and the impact it can have on their bodies. This makes them better placed to make a judgment on food than most other FM services, so it’s incredibly important for businesses to ensure that they have the right offer as part of their workplaces and buildings. Businesses are also very aware of how brand perception can impact performance and productivity which is why we are seeing so much focus on creating and developing collaborative and engaging environments. Employers know that prospective employees are looking for more than just a salary. In addition, catering as part of TFM in the wrong circumstances can sometimes become commoditised, which could result in the loss of focus and create potential reputational risk. The roundtable discussion focussed on five key areas.